Online casino games for our neighbours in Australia was branded illegal following the passing of the Internet Gambling Amendment Bill 2016 which was approved in June. With the Bill on the cards for a substantial length of time, and a certain level of ambiguity surrounding online gambling in Australia, there was a light at the end of the tunnel for avid players when the Minister for Communications Mitch Fifield suggested the government are currently “favourably disposed” to the concept of licensing online poker. The aim of this Amendment was not to prohibit online poker but with the intention of preventing unlicensed sports betters operating within Australia and targeting Australian customers. 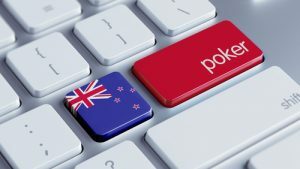 With New Zealand currently implementing the Gambling Amendment Act 2015, each player in this country is entitled to play at New Zealand online casinos once it is outside of New Zealand and remains inside four classes within the Gambling Act. Although so close to Australia and sharing an interest in similar sports, New Zealand allows for more flexibility with their gambling laws and it is legal for citizens to enjoy online casinos through overseas casino sites. Just like their shared interest in sport, the Kiwi’s and Aussies share a love for pokies, both on land and in the virtual world. There is a huge fan base for New Zealand online casinos with 94% of people said to have participated in some form of playing in their lifetime. New Zealand government statistics have shown that roughly 40% of adults over the age of 18 said they play once a week or more. The most favoured table games both on land and online is Blackjack, followed closely by Baccarat and Roulette.